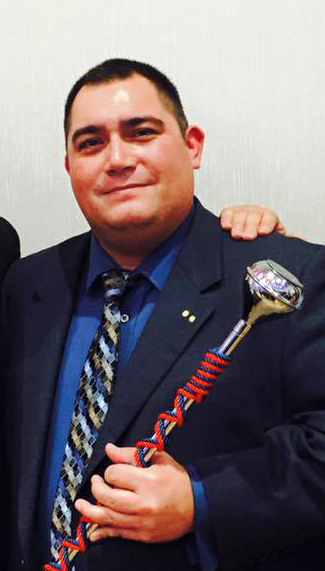 Jason Cruz named inaugural recipient of the "Bulldog Pride Fund: Drum Major Award." The inaugural recipient of “Bulldog Pride Fund: Drum Major Award” of $2,000 is Jason Cruz, who will lead Fresno State's Bulldog Marching Band in its 2016-17 academic year. He is completing a bachelor’s of arts degree in music education; he is also a graduate of Edison High School. Cruz will be publicly honored at the Top Dog Alumni Awards Gala to be held in the fall of 2016 at the Save Mart Center. The Bulldog Pride fund was established in 2006 with two $50 donations. Today, its endowment has surpassed $350,000. In 2016-17, the scholarship will provide eight scholarships of $2,000 each; or $16,000 total. Including next year, the fund will have provided a total of 41 scholarships valued at $91,000.